IQVenue can even help you in starting from scratch i.e. right from registering a domain and hosting for your business to designing a full fledged website and finally workout and implement the entire digital marketing strategy required for the success of your business. The digital marketing services provided by IQVenue are backed with highly experienced digital marketing experts and the training courses provided by IQVenue are designed with one thing in mind that they don't just teach you but let you learn, explore and finally lead you to the next big names in digital marketing arena. As soon as you hear the term digital marketing the first thing that may instantly strike your mind is the word "digital" and the first question that may arise in your mind is "what is digital marketing". Now without talking any non-sense we will get straight to the point - The word digital is all about   which more or less means electronic signals and so any medium that uses electronic signals (0,1) can be termed as digital medium or electronic medium. So digital marketing can be defined as marketing or promotion of brands, products, services to the consumers by using any or all available forms of digital (electronic) mediums like internet, mobile, television and radio. This is the reason why digital marketing is also known as electronic marketing or simply e-marketing. IQVenue excels in providing the complete suite of digital marketing solutions across the globe that incorporates world class services, industry relevant courses, extensive online exams followed by highly recognized certifications, 100% placement assistance along with exclusive portal access to top jobs and career opportunities, highly reliable information resources and even much more. Internet is one of the biggest and cost effective digital medium available worldwide. Internet Marketing can be defined as marketing or promotion of brands, products, services to the consumers by utilization of internet as a digital medium. When we say that we are online then it simply means that we are using internet or in other words accessing the world wide web and so internet marketing is also known as online marketing or web marketing. Moreover the word iMarketing is also used as an abbreviated form for internet marketing. Internet Marketing being one of the biggest digital marketing channel includes search engine marketing, social media marketing, display marketing, referral marketing, affiliate marketing, email marketing, content marketing, designing and development and much much more. So more precisely internet marketing can be formulated as shown above. IQVenue excels in providing the complete suite of internet marketing solutions across the globe that incorporates world class services, industry relevant courses, extensive online exams followed by highly recognized certifications, 100% placement assistance along with exclusive portal access to top jobs and career opportunities, highly reliable information resources and even much more. 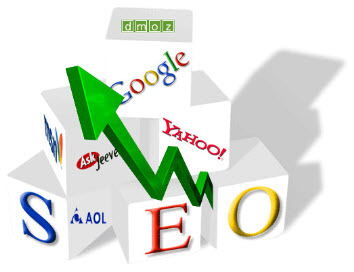 On one hand search engine optimization (seo) helps in increasing the targeted traffic of websites from organic (unpaid or natural or free or algorithmic) search results that appear on search engine result pages (SERPs) and on the other hand search engine advertising (sea) helps in increasing the targeted traffic of websites from paid inclusions, paid search results (paid placements or paid listings or sponsored links or sponsored ads) that appear on search engine result pages (SERPs) as well as from paid display ads (text ads/image ads/video ads/rich media ads) that appear on various publisher websites that come under the display network of search engines. So Search Engine Marketing (SEM) is an umbrella term that includes all the marketing or promotional activities that fall under SEO and SEA. Search Engine Marketing is emerging as a potent tool to reach the right audience at the right time and right place. IQVenue excels in providing the complete suite of sem solutions across the globe that incorporates world class services, industry relevant courses, extensive online exams followed by highly recognized certifications, 100% placement assistance along with exclusive portal access to top jobs and career opportunities, highly reliable information resources and even much more. Whenever you type a query in any search engine and hit the "search" button you get a list of web results called organic (unpaid or natural or free or algorithmic) search results which contain that query term. Users normally tend to visit the websites that are at the top of this list as they perceive those to be more relevant to the query. If you have ever wondered why some of these websites rank better than the others then you must know that it is because of a powerful internet marketing technique called SEO that basically stands for Search Engine Optimization and is an important part of SEM as well. 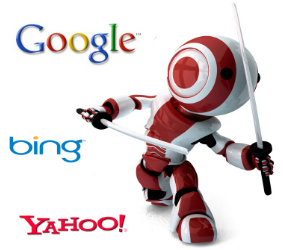 Search Engine Optimization (SEO) is a technique which helps Google, Yahoo, Bing or other search engines to find and rank your website higher than the millions of other websites on the organic search results in response to a search query which in turn increases the free targeted traffic from these search engines. So search engine optimization can be defined as the science and art of getting free targeted traffic to your website from Google, Yahoo, Bing or other search engines via organic (unpaid or free or algorithmic) search results. According to a survey more than 70% of the online traffic originates from the search engines and so if a website was listed on the search engine for a particular keyword (query), on the first page of organic search results, it is sure to get an edge over its competitors i.e. if seo is done properly for your website then search engines will associate your website with relevant keywords and send you free traffic. IQVenue excels in providing the complete suite of seo solutions across the globe that incorporates world class services, industry relevant courses, extensive online exams followed by highly recognized certifications, 100% placement assistance along with exclusive portal access to top jobs and career opportunities, highly reliable information resources and even much more. 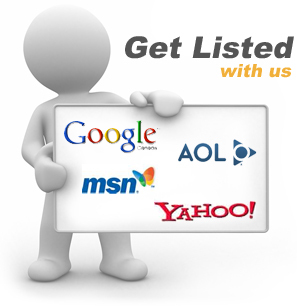 Search Engine Advertising (SEA) in simple plain words means advertising via search engines. You have two options to advertise via search engines in which the first option is to place your ad on search engine result pages (SERPs) and other is option is to place your ad on the display network of search engines. The ads that appear (in text format) on SERPs along with the organic search results are called paid search results (paid placements or paid listings or sponsored links or sponsored ads) and the ads that appear (in text/image/video/rich-media format) on the display network of search engines are called display ads. Search Engine Advertising (SEA) is the process of increasing the visibility of a website by placing the website's ads on the search engine result pages (SERPs) and the display network of search engines which in turn increases the traffic generated from these ads. You need to pay money to the search engines for placing these ads and that's why they are named as paid ads and the traffic generated from these ads is called paid traffic. So search engine advertising can be defined as the science and art of getting paid targeted traffic to your website from Google, Yahoo, Bing or other search engine networks via paid search results and paid display ads. Search Engine Advertising (SEA) is an important part of SEM as well. IQVenue excels in providing the complete suite of search engine advertising solutions across the globe that incorporates world class services, industry relevant courses, extensive online exams followed by highly recognized certifications, 100% placement assistance along with exclusive portal access to top jobs and career opportunities, highly reliable information resources and even much more. 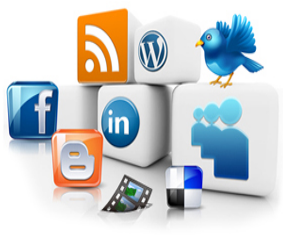 On one hand social media optimization (smo) helps in increasing the targeted traffic of websites through social activities like blogging, posting status updates on social media profiles, participation in discussion groups, social bookmarking, virals, online reputation management, user rating/polling, user feedback, RSS feeds, sharing buttons, use of video/photo sharing sites etc and on the other hand social media advertising (sma) helps in increasing the targeted traffic of websites by utilizing the advertising platform of social media networks in which you simply pay money for showing up your ads on social media network pages. So Social Media Marketing (SMM) is an umbrella term that includes all the marketing or promotional activities that fall under SMO and SMA. As social media is gaining popularity, one of the major buzz is utilization of social media for business and marketing purposes. IQVenue excels in providing the complete suite of social media marketing solutions across the globe that incorporates world class services, industry relevant courses, extensive online exams followed by highly recognized certifications, 100% placement assistance along with exclusive portal access to top jobs and career opportunities, highly reliable information resources and even much more. 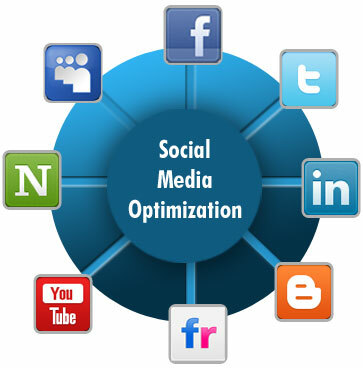 Social Media Optimization (SMO) can be defined as the science and art of getting free targeted traffic to your website from Facebook, Twitter, LinkedIn, YouTube, Google+ or other social media networks through various social activities like blogging, posting status updates on social media profiles, participation in discussion groups, social bookmarking, virals, online reputation management, user rating/polling, user feedback, RSS feeds, sharing buttons, use of video/photo sharing sites and many more. Social Media Optimization (SMO) primarily focuses on driving free traffic from sources other than search engines, though improved search rankings is also an added benefit (side-benefit) or byproduct of successful smo efforts. This is the reason why sometimes people call SMO as Social SEO but we firmly believe that SMO & SEO are two different activities which do share some common benefits and when both these techniques are used hand in hand, they actually compliment each other. Social Media Optimization (SMO) is a very popular and effective promotional campaign used by every organization to market their brands, products and services by diverting the traffic from various social media sites to their website. This is done by utilizing the power of social media and networking sites like Facebook, Twitter, LinkedIn, YouTube, Google+ etc. You can even see it as a kind of viral marketing where any brand, product and service is made popular by effectively using networking in social bookmarking, video/photo sharing sites. IQVenue excels in providing the complete suite of social media optimization solutions across the globe that incorporates world class services, industry relevant courses, extensive online exams followed by highly recognized certifications, 100% placement assistance along with exclusive portal access to top jobs and career opportunities, highly reliable information resources and even much more. Social Media Advertising (SMA) in simple plain words means advertising via social media. Have you ever seen the ads that appear on Facebook, Twitter, LinkedIn, YouTube and other social media sites that are promoting any brand, product or service. These ads are served by social media advertising platforms where advertisers pay money for showing their ads on social media network pages which are based on various payment models. Social Media Advertising (SMA) is the process of increasing the visibility of a website by placing the website's ads on the social media network pages which in turn increases the traffic generated from these ads. Since you need to pay money to the social media networks for placing these ads and that's why the traffic generated from these ads is called paid social traffic. So social media advertising can be defined as the science and art of getting paid targeted traffic to your website from Facebook, Twitter, LinkedIn or other social media networks by utilizing the advertising platform of social media networks. 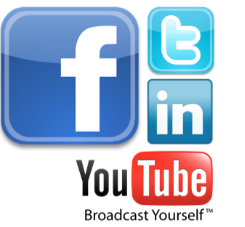 Social Media Advertising (SMA) is an important part of SMM as well. IQVenue excels in providing the complete suite of social media advertising solutions across the globe that incorporates world class services, industry relevant courses, extensive online exams followed by highly recognized certifications, 100% placement assistance along with exclusive portal access to top jobs and career opportunities, highly reliable information resources and even much more. The term PPC stands for Pay Per Click which has really become popular these days but before explaining the term PPC we would like to introduce you to two new terms which will automatically define the term PPC. These two terms are CPC and CPM that are basically the acronyms used for the two most common pricing models available in online advertising that are provided by almost all the search engines and social media sites like Google, Yahoo, Bing, Facebook, Twitter, LinkedIn etc. CPC stand for Cost Per Click and this is a pricing model in which an advertiser pays for each and every click incurred by his ad. In simple plain words the advertiser needs to Pay Per Click and that is abbreviated as PPC. So PPC can be defined as payment model by which an advertiser gets charged for each and every click incurred by his ad while selecting CPC pricing model for advertising his brand, product or service. Although CPC and PPC are two different terms but nowadays these both terms are used interchangeably. CPM stand for Cost Per Thousand Impressions (where M=1000 in roman numerals) and this is a pricing model in which an advertiser pays for every 1000 impressions (views) incurred by an ad. In simple plain words the advertiser needs to Pay Per Thousand Impressions and that is abbreviated as PPM. So PPM can be defined as payment model by which an advertiser gets charged for every 1000 impressions (views) incurred by his ad while selecting CPM pricing model for advertising his brand, product or service. Although CPM and PPM are two different terms but nowadays these both terms are used interchangeably. Although there are so many different terms in online advertising like CPC/PPC, CPM/PPM, CPA/PPA etc but the term PPC has been so widely used by the advertisers and marketers that the term PPC has now almost become a synonym for the combined set of all online advertising channels that work on any of the models like CPC/PPC, CPM/PPM, CPA/PPA etc i.e. search engine advertising, social media advertising and all other online display advertising channels fall under PPC (Pay Per Click). 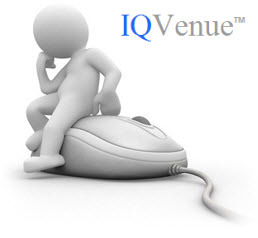 IQVenue excels in providing the complete suite of pay per click solutions across the globe that incorporates world class services, industry relevant courses, extensive online exams followed by highly recognized certifications, 100% placement assistance along with exclusive portal access to top jobs and career opportunities, highly reliable information resources and even much more.